Churros are a fried-dough pastry, found now in many cultures across several continents. A Mexican fritter, similar to donuts and gaining popularity in European and other Western countries. They are crispy and golden, and usually dusted in icing sugar or a cinnamon sugar blend. It is believed that the Portuguese may have brought them to Europe, after learning new dough techniques in China. Another theory is that the churro was first made by Spanish shepherds, as a longer-lasting substitute for fresh bakery goods. The dough is a mixture of flour, water and salt, although some versions are made from potato dough. Fried until crunchy, the surface of it is ridged due to having been piped from a churrera (a syringe-like tool with a star-shaped nozzle). 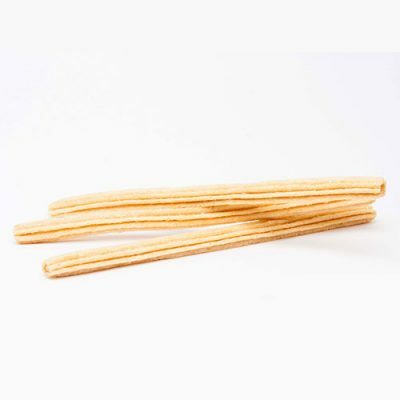 Churros are generally prisms in shape, and may be straight, curled or spiralled. A popular street food, churros are found all through the streets of countries like Peru, Venezuala and Colombia. They are an iconic part of carnivals, fairs and celebrations in Portugal. This trend is spreading all over the world! Nowadays, they can be made at home or at speciality restaurants as a simply yet tasty dessert after dinner or lunch. They are also an alternative breakfast pastry – perfect with blueberries, bananas or hot chocolate! Delicious on their own, or dipped in chocolate or other sauces, they are also served on platters with fruit and chocolate dipping sauces. You can also choose to fill your Latin doughnut with fruit jam or other icings for a tasty surprise! In Uruguay, churros can also come in a savoury version, filled with melted cheese. For a savoury alternative, why not fill them with cheese or some light salsa? Our churros are frozen in sets. This is so the pastry will remain fresh and ready to defrost and use whenever you like. 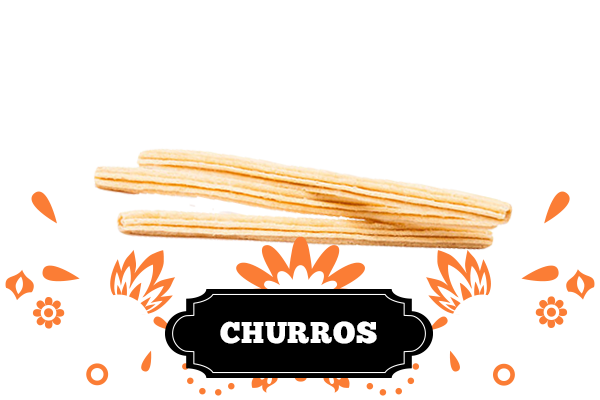 Contact us to place an order of our delicious pre-made churros.